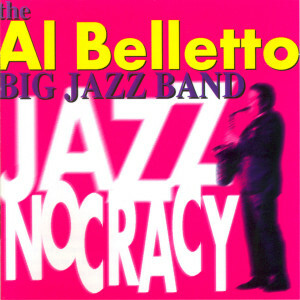 “Now, thanks to Jazznocracy, the happy results of Belletto’s incarnation as big band “swing king” are available to all”. In the late 1940s, alto saxophonist Al Belletto had to leave his native New Orleans in order to pursue the siren song of bop. At the helm of the Al Belletto Sextet, the altoist found national success. Although previously rejected by the Crescent City’s traditional jazz establishment, Belletto returned home in the 1960s to eventually win over the hometown folks.